Big changes are coming to Victory Park with three new restaurant concepts slated to open at the mixed-used district later this year. The first is a restaurant and bar from This & That Concepts, the team behind High Fives, So & So's, and the Standard Pour. 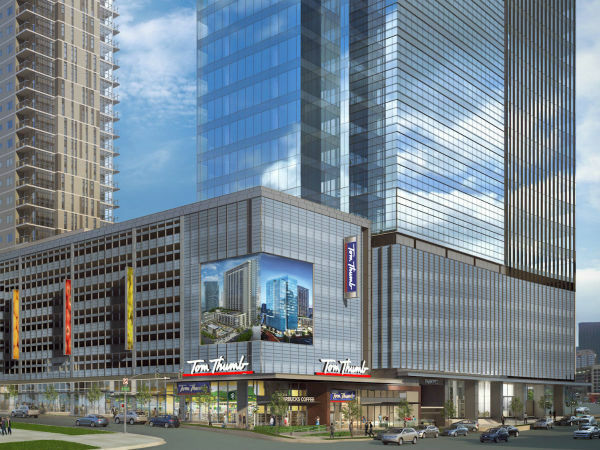 They'll open a 4,232-square-foot restaurant and bar, plus a 2,600-square-foot, second-floor covered patio overlooking Victory Plaza and Victory Park Lane, at the northwest corner of Victory Park Lane across from the W Dallas – Victory Hotel. The second is a massive restaurant and entertainment complex going into the space previously occupied by dearly departed Nove and N9NE. It's from 8020 Hospitality, the Elias Pope company that owns HG Sply Co., and Brooke Humphries, owner of Barcadia. The complex will extend 24,022 square feet, occupying the entire ground floor of the west Victory Plaza building. The third is a bar and tavern from Humphries located in an "out-of-the-box" space inside the parking garage on Victory Avenue, across from the Arpeggio apartments. It'll have 2,466 square feet plus a 1,179-square-foot covered patio. Humphries' portfolio includes Barcadia, Beauty Bar, Mudsmith, It’ll Do Club, and Pints & Quarts. 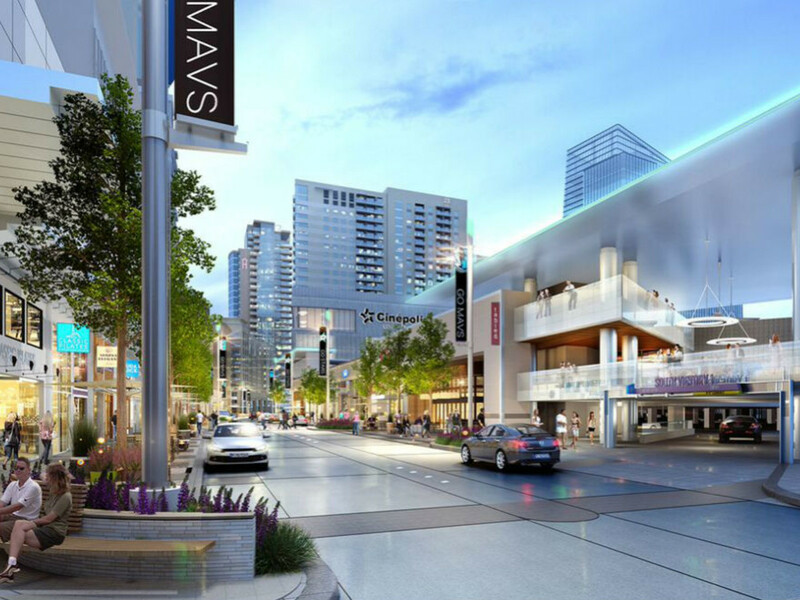 The new concepts are part of a district redevelopment led by owner Estein USA and retail partner Trademark Property Co., focused on evolving Victory Park into a more authentic, walkable, and soulful urban neighborhood. As part of the transformation efforts, Victory is undergoing a full remerchandising to include Cinépolis Luxury Cinemas – Victory Park, a collection of best-in-class local food and beverage operators, and select local and national retailers. In a release, Estein COO and Victory Park VP Lance Fair says that they're aiming to attract top entrepreneurs in the business. "Their commitment to Victory Park and their shared vision for its potential speaks volumes to what’s in store for the district," he says. 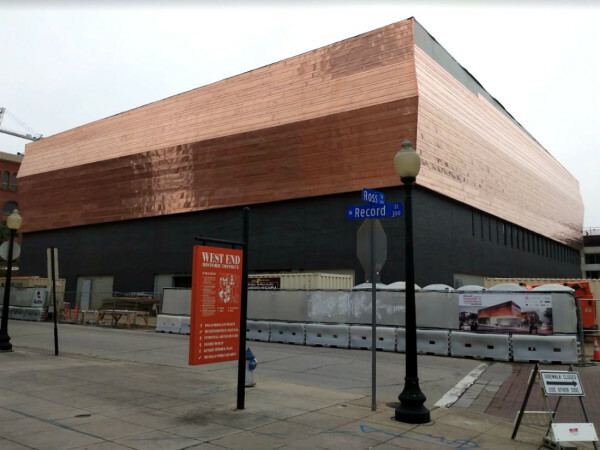 Victory Park also anticipates the late-2017 openings of three unique concepts by Dallas restaurateur Tristan Simon, including a "modern Texas saloon," a retail emporium showcasing local artists, and a creative workspace with a seasonally minded, day-focused cafe. Current redevelopment efforts have paved the way for a walkable three-block, two-sided retail district on Victory Park Lane. 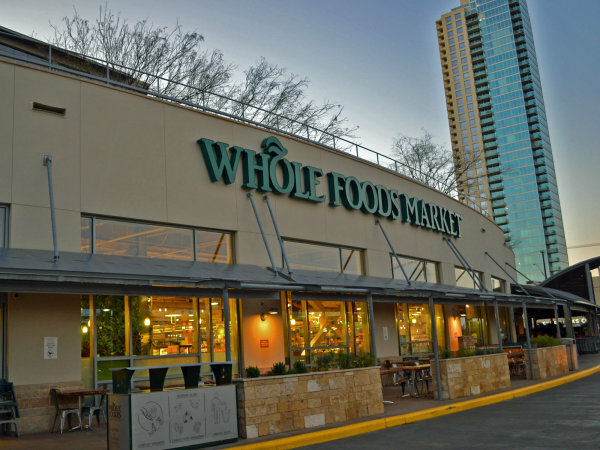 Most recently, the unfinished parking garage across from the W Dallas – Victory Hotel was completed, adding 22,000 square feet of ground floor retail space. Construction is also underway on a mixed-use building at Victory Park Lane and High Market Street, which will include the eight-screen, 750-seat Cinépolis Luxury Cinemas – Victory Park movie theatre, 20,000 square feet of new ground floor retail, and 285 apartments, all slated to open in late 2017. Completed district improvements include reworked streetscapes, sidewalks and storefronts, district identity markers, wayfinding elements, public space amenities, two-way traffic on Houston Street and Victory Avenue, and a dedicated bike lane extending the Katy Trail. Additional parking and valet options will also roll out in early 2017. Other enhancements, including a new public art program, lighting and technology upgrades, will be installed in the coming months.